No matter how twisted this world may be, I will walk the path I believe in! I have no memes, only doggos. Very well then, as a TFW memer you have earned a free doggo. He will dance for you, borf for you, and bless you daily with premo dank memes. Elton! Another person I haven't spoken to. Good to hear you two are doing well. I'm doing pretty well myself. Also, thank you Elton! Imagine the world without them... How horrid would it be. It would be a very horrid place. I don't even wanna imagine it. SHEESH! They will return some day! I promise. For now, we admire Star Platinum! Memes, eh? How spicy do you like'm? Have you heard of the tasteless gentlemen? If you go to their site you'll find some good memes. I've actually never heard. Thanks for telling me though. I made the same mistake. Don't worry. You changed your profile picture! How can you trap and ambush without the trap!?! Oh, no. 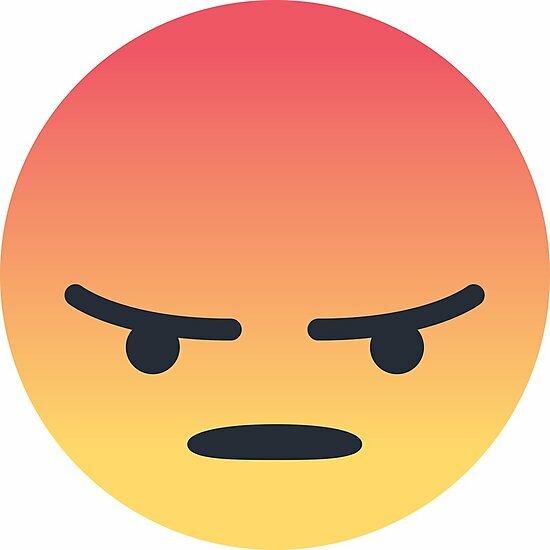 Not that anger emote on Facebook!!! Gallade, did you get any of the Studio Series figures you've been wanting? Is Lockdown out yet? yeah. I think I might get that War for Cybertron Sideswipe. So far, I'm getting Sideswipe but I'm interested in that Targetmaster. Makes me hope for Pointblank, Crosshairs, and Sureshot. definitely, it would be interesting to see updates for them! "what? no no no, i'm not a Trap i'm clearly a Man , you can tell by my Warriors Gown my Bells of war my Bows of Honor my FULL GROWN Rams Horn . come on, have you, have you, have you gone blind? You can clearly tell i'm a pride warrior of the. . . "THE GOLD CLAN"
Uh... You're on your own man! Have fun! To keep balance, I would like to counter Applejacktimus and say: I would not spring the trap. Understandable. I don't know what I say either. Astolfo says it's not gay if I say no homo. I respekt wamen. What's your point, huhu? Astolfo is the greatest trap to ever live. I call dibs on astolfo and felix. Very well. I'm free to listen. You should fall for traps btw. You never get problems like that. You're lucky I got that, I barely saw enough movies to not get lost in Infinity War. Crazy movie, huh? For sure, lol. It was really action packed and I enjoyed every bit of it. Anime makes me question my sexual preference. Jeez, and I thought Astolfo and Haku were bad. Dammit Japan. As if I wasn't confused enough. Seriously, there are some cases where it looked 100% like a girl, that after I found out they were traps, part of me was convinced that they were still girls. Oof. The headaches. Do you have the new Jazz toy? If so, how do you like it? Sadly, no I don't but I wish I did.